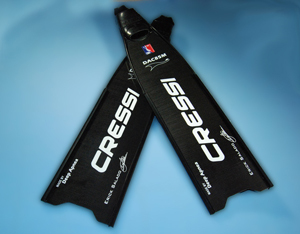 ﻿ Deep Apnea Free Diving Fins made in U.S.A.
Back In 2012 this page was created to announce our sponsorship of the USA Team, for Deep Apnea was a great news being select by all competitors, once again "Thanks a lot USA Team for trust in us!!! Deep Apnea is proud to announce the sponsorship of the USA Spear Fishing Team. 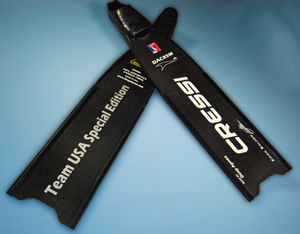 The Carbon Fiber Fins the USA Team will use for training here in US and for the Competition in Vigo Spain will be supplied by Deep Apnea. The fins that the Team chosen were the 85 cm length in all different stiffness. We hope to have some of these available for the public very soon.